BOUNCE Rawdah has witnessed 30 million jumps in its first month, resulting in more than 10 million calories being burnt. January 30, 2019: The female community of Riyadh are swarming into the world’s first ladies only trampoline park and have embraced a fun, new fitness trend. 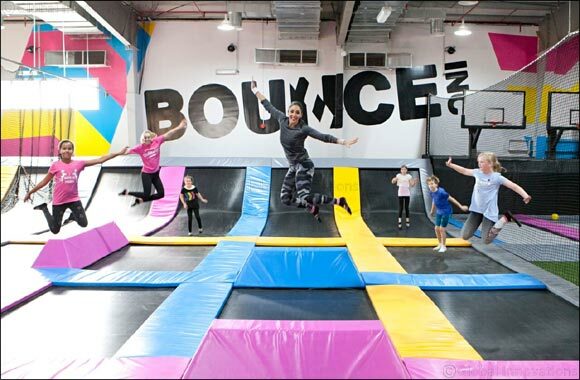 BOUNCE Rawdah opened its doors to the public in December, following a special launch night, and has witnessed over 30 million jumps and 10 million carbs being burnt in its first month. The trampoline park and entertainment group, which was endorsed by the GEA shortly before it opened, offers a fabulous new entertainment option to the female population in Riyadh, while also providing a fun way to stay fit and healthy. An indoor adrenaline pumping venue, packed with activities, BOUNCE Rawdah for Ladies and Children (boys under the age of 10), is the perfect place to have fun, get active, or just hang out. The BOUNCE Rawdah all female tribe is made up largely of young adults with 75% of the team being Saudi nationals. The venue, which features several private rooms and a caf� to cater for special occasions like birthday parties, has become an instant hit in the city with thousands of kids celebrating their birthdays at BOUNCE in the first month alone. The 3,500 square meter venue is packed with 80 interconnected trampolines, a dodgeball arena, slam dunk, super tramp, cliff jump and huge inflatable airbags. It also houses the high-energy X-Park Freestyle Playground (think Ninja Warrior with Zip Lines, Bouldering Walls and the Spider Climb).